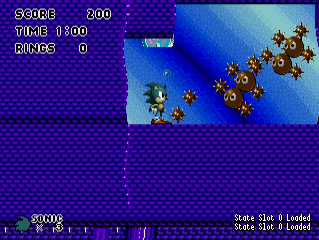 Sonic 1 Lunacy is a work-in-progress hack of Sonic the Hedgehog by the Masochistic Maniacs. 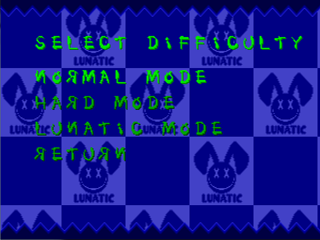 The hack features three levels of difficulty (Normal, Hard and Lunatic) with custom levels and ported/custom sounds/music. Not long after this, Destructiox began to think of what gimmick his hack would have, and owing to his at-the-time affinity with Touhou he settled on a hack that would mimic the difficulty selections of Touhou: Easy, Normal, Hard, and Lunatic. As Destructiox managed to learn more from the more skilled hackers he had been able to associate with, he managed to progress his hack, separating the game into three difficulties, (the concept of an 'Easy' difficulty quickly dropped off in the planning stage,) and being able to differentiate the layouts in regards to each difficulty. 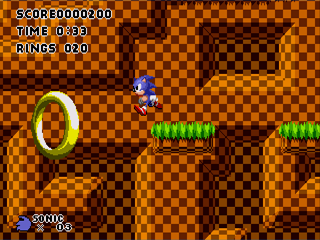 This allowed Sonic 1 Lunacy to be realized as a serious project in mid 2009. snkenjoi ported over the title screen menu from Sonic 2 with help from Spanner, with Spanner also offering to provide several pre-made songs which were all implemented into the project, which helped to give the project its own sense of identity. Eventually, Destructiox came across MarkeyJester, who, in addition to assisting him in learning some ASM, provided two unused levels that were featured in a YouTube video titled 'Levels, Levels, Levels', which were Atlantic Cellar Zone and an un-named Casino Night-style zone, which was later named Pinball City Zone. Destructiox toiled to separate the levels that were used in each difficulty, owing to his wish to reward players who would be able to progress through Lunatic Difficulty with fresh, unique levels, and in the end he succeeded in this endeavour. 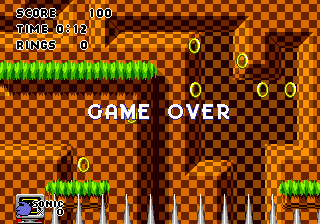 (However there is currently the likelihood that this will be removed, and the new levels will be available on all difficulties.) At this point Destructiox decided that he needed more help with the project, with an excess of over 50 layouts to create, alongside music tracks, new bosses, and various other concepts he wished to see come to fruition, and so he created the Masochistic Maniacs. 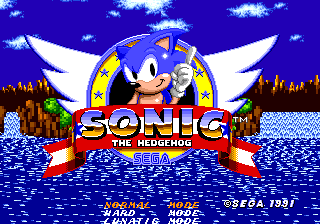 With new additions such as SonicVaan, Selbi and CarrascoZX0, more diversity and ingenuity was added to Sonic 1 Lunacy, such as a new menu and credits screens created by MarkeyJester, new modes, and a wealth of small changes all help build Sonic 1 Lunacy into the project it is today. Sonic 1 Lunacy was entered into the Seventh Annual Hacking Contest in an attempt to gauge some kind of review from the judges participating. It was awarded the Genocide City trophy for having the most difficult layout (which might not sound like a good thing, but this was the intention for lunatic difficulty), as well as over-all praise and well-wishes for the project's future. Sonic 1 Lunacy entered into the succeeding contest, the Sonic the Hedgehog Annual Hacking Contest 2010, and was able to retain the Genocide City Trophy, alongside winning a special one-off trophy, the 'The Game - You just lost it' trophy awarded by Shadow Fire. 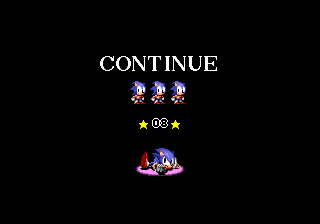 Sonic 1 Lunacy made a third appearance in the Sonic Hacking Contest 2011, wherein it was once again awarded the Genocide City trophy, making Sonic 1 Lunacy the first hack to retain the Genocide City Trophy three years in a row, a feat which has only been repeated by Sonic Megamix, having been awarded the Piano Trophy three years straight. Expect to see this screen. 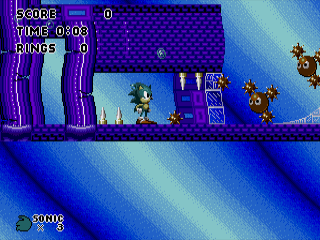 Screen released on Christmas Day of a Lunatic level. SÆGA as an entirety have assisted in the creation of this project in one form or another. E-122-Psi has provided the font for the Main Menu. Release thread at Sonic Retro. This page was last edited on 15 April 2018, at 14:54.